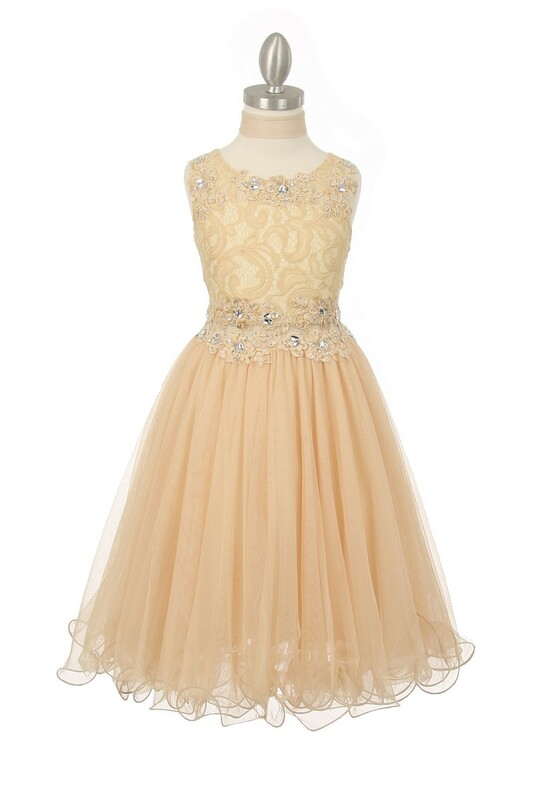 Champagne flower girl dresses - champagne quinceanera dresses. 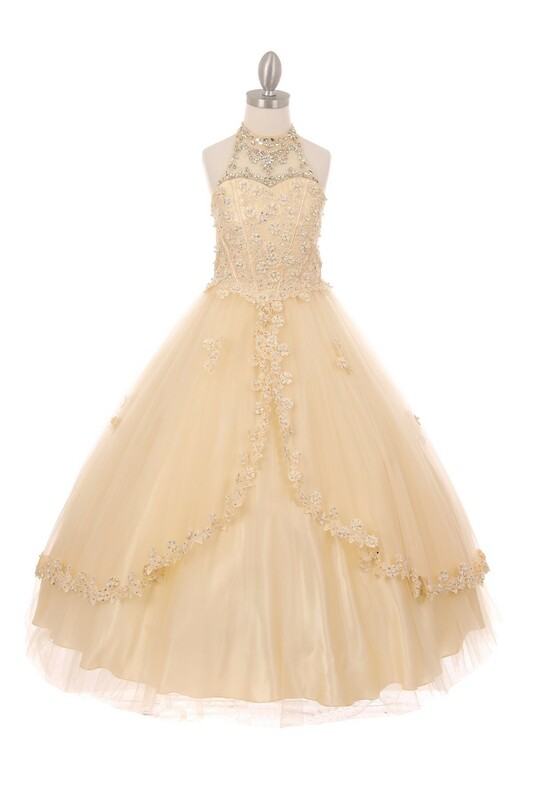 Champagne flower girl dresses - champagne quinceanera dresses. 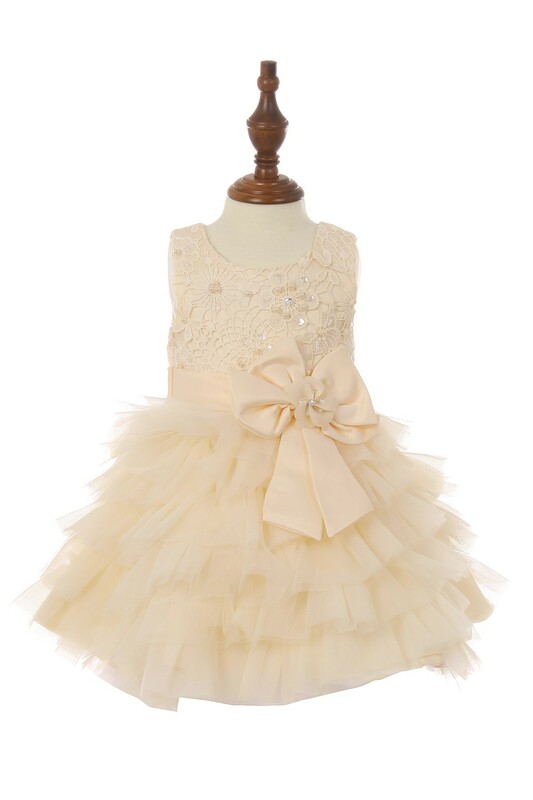 Infant to Girls size 16. 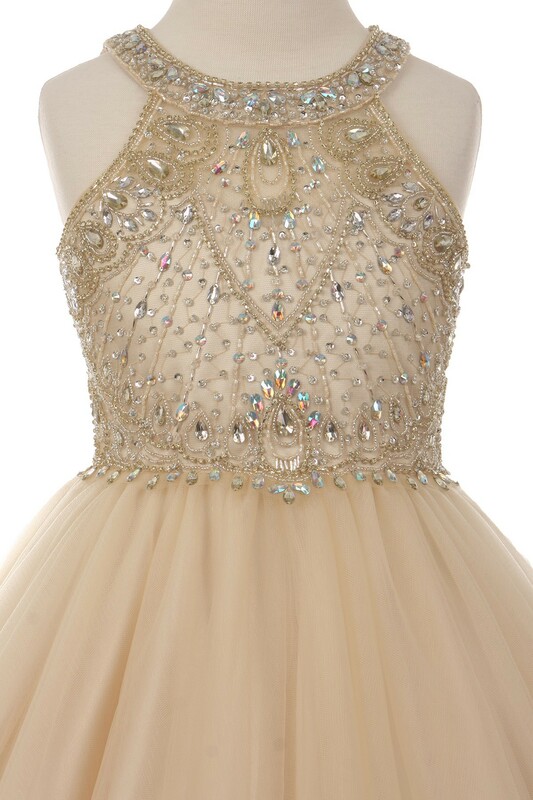 Inexpensive champagne dresses for all special occasions. 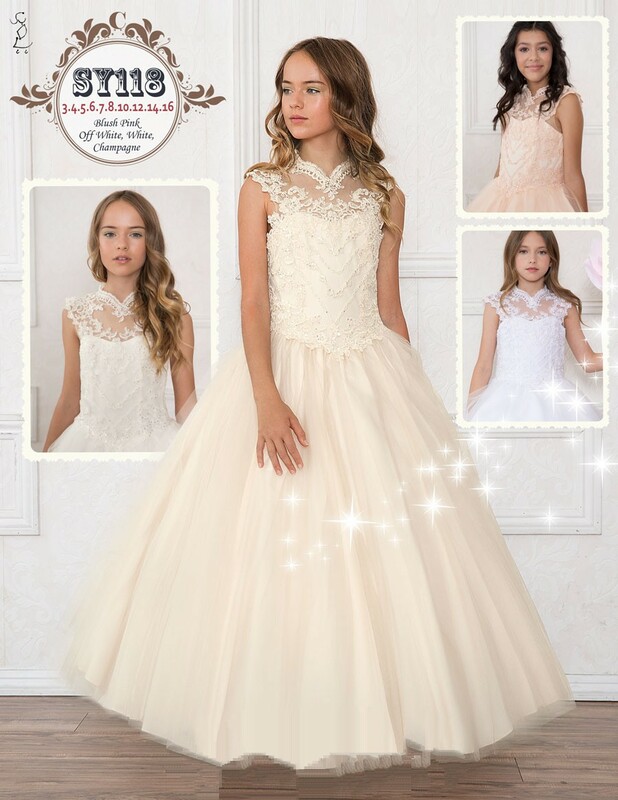 Champagne dress selections: lace, ruffles, cold shoulder, beaded bodice, beaded sash, short and long lengths for all you special events. 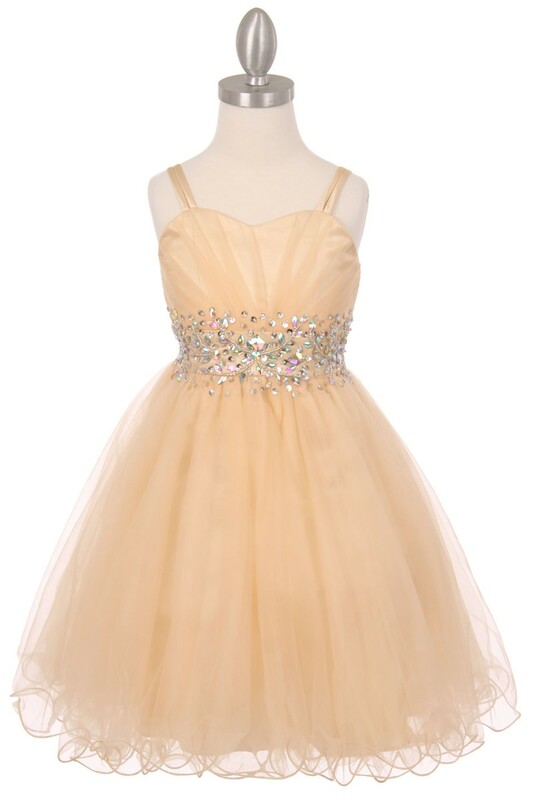 Please click on the dress for full details. 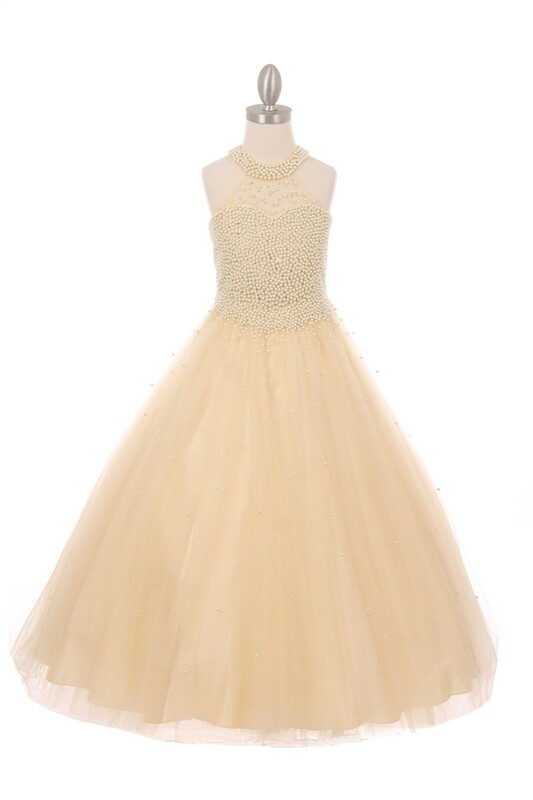 Girls Quinceanera ball gown dress. 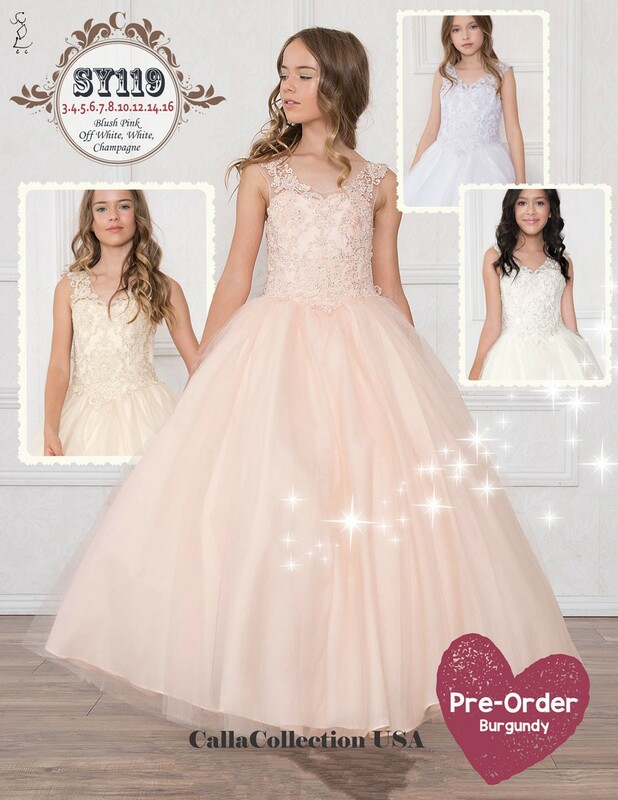 Quinceañera dresses with stunning bold metallic lace, large flowing princess ball gown skirt, and all the sparkle you’ve been dreaming of. 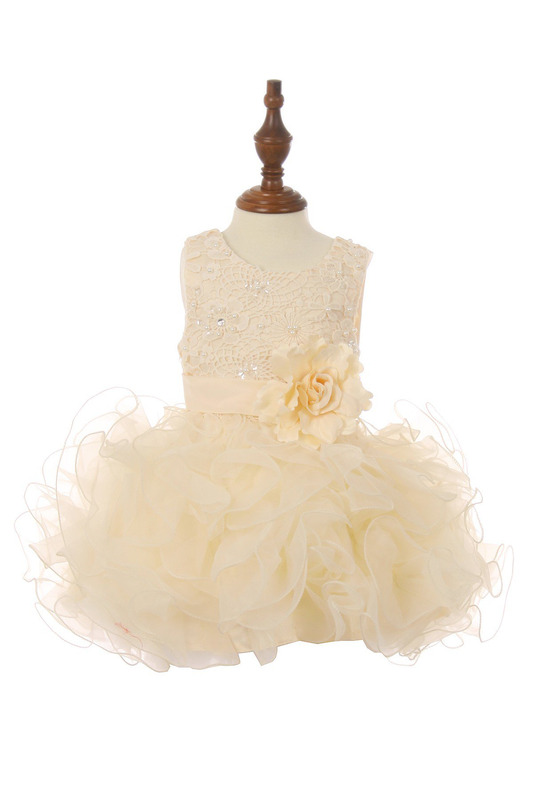 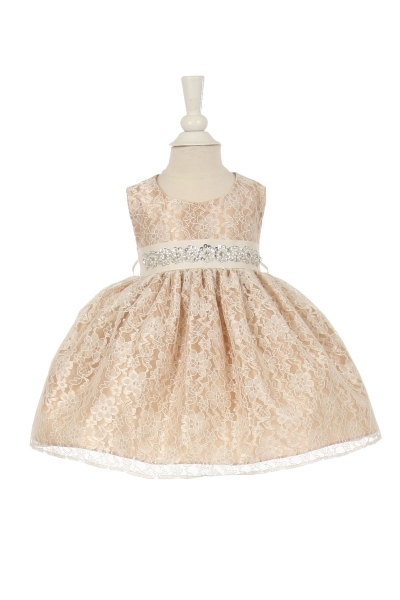 This champagne flower girl dress is rich in color and in style. 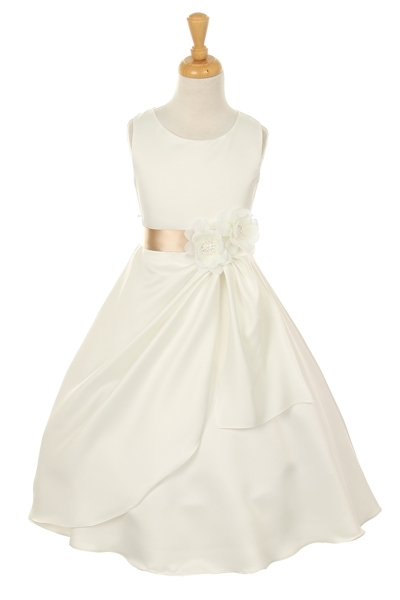 Simple and elegant with its sash waistband and triple bubble layered skirt. 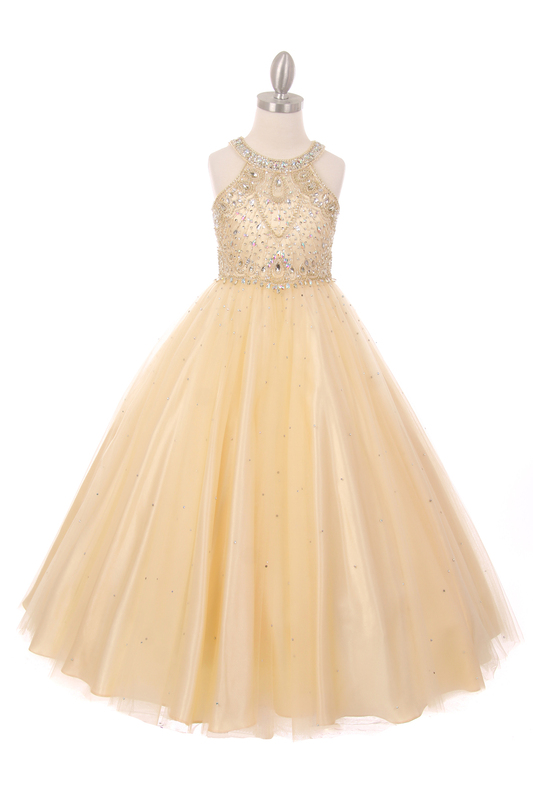 Best of all you can pick your own customized sash color to match your bridesmaid dresses!